Why Salesforce is Launching Essentials Now? In the past few years Salesforce has missed the sweet spot fitting into the small business market, but that’s changing. SMB’s have historically been key to Salesforce’s growth back in the early noughties, but of course Salesforce has grown and become more and more varied in their core products. Small businesses often found Salesforce expensive, difficult to set-up, and struggled to unlock its full potential. Salesforce has made attempts to be more appealing to the SMB market with products such as Desk.com and SalesforceIQ, however competitor CRM’s often offered more value at a lower price point. Salesforce Essentials is designed to take the difficulty and expense out of Salesforce setup and maintenance whilst still retaining many of the much-loved enterprise type features. Salesforce Essentials offers a simplified version of Sales or Service cloud backed with the training master classes from Trailheads. This is to enable SMB’s to use the power of Einstein AI, Salesforce Lightning in an ‘Out of the box’ solution to provide a future proof/scalable solution that’ll will grow with any small business. Ease of use is key according to Salesforce, ’93% of small businesses stated easy set-up was important.’ This is clear from when you launch Essentials. Essentials is built on the Salesforce Lightning platform which includes full mobile compatibility to take your data anywhere. 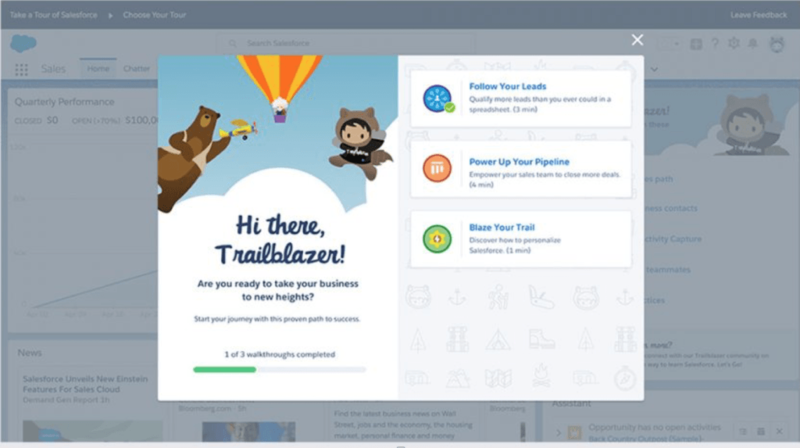 Salesforce hasn’t restricted the Salesforce App Exchange either which will allow users to connect their data in many more powerful ways. Essentials is surprisingly affordable for an Enterprise type package. For up to 5 users, this will cost $25 per user, per month. For more users this will cost up to $75 per user, per month. Free Trial – Want to Have a Go? Have a go yourself at setting up a Salesforce Essentials org.